PageBreeze Free HTML Editor is a completely free download for personal use and will never expire. Get your free copy now (approx. 7 MB). Version 4 now available! 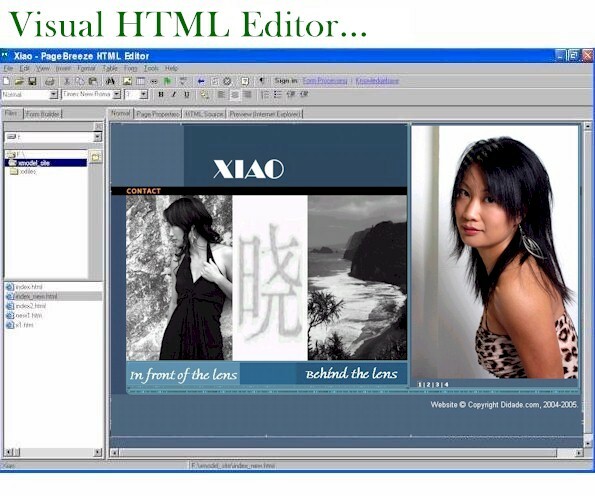 PageBreeze Free HTML Editor is completely free for personal, not-for-profit, or educational use. There are no limitations, no nag screens, no required registration, and the software will never expire . If you use PageBreeze in your job, or in a for-profit business for non-evaluation purposes, you must obtain an inexpensive license for PageBreeze Professional , which includes several more advanced features. Download size is about 7MB. Help promote PageBreeze Free HTML Editor! (c) PageBreeze.com 2011. All Rights Reserved.